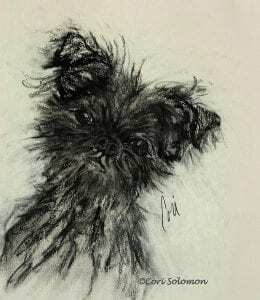 The Affenpinscher can be a very loyal yet funny dog. A member of the Toy Breed, it is also known as the African Terrier. To order a signed and number Giclee of this Saluki drawing email Cori.